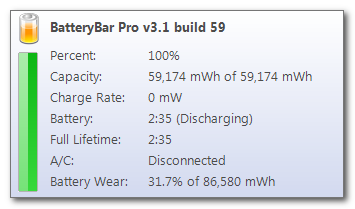 BatteryBar is a application for Windows, which shows the life and health of your battery. It also shows information such as total capacity of the battery, discharge rate and battery wear. nice share... I like it.